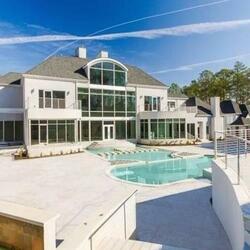 Akon net worth: The son of percussionist Mor Thiam, Aliaune Thiam, more commonly now known as R&B singer Akon, has a net worth of $80 million dollars. 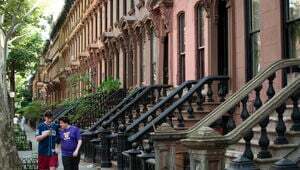 Born in Missouri, but spending the majority of his youth between the West African country of Senegal and America, Akon would settle in Jersey City, New Jersey at the age of fifteen. During his turbulent teen years, Akon would eventually shift his time and interest on crime to developing his music abilities, songwriting and recording demos. After signing with Universal, Akon released his debut album, Trouble, in 2004. The album reached #3 on the US R&B charts and #1 in the UK with 1.6 million albums sold in the US. His second album Konvicted was released in 2006 and reached #2 on both the Billboard 200 chart and the US R&B chart and #1 in New Zealand with three million copies sold. 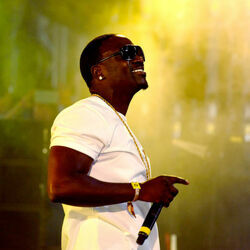 Akon's third album Freedom was released in 2008 and reached #3 on the US R&B chart. Under the parent company of Universal, Akon co-founded the record label Konvict Muzik on which he released his second and third albums, Konvicted and Freedom, respectively. He has collaborated with other successful artists such as Lady GaGa, Whitney Houston, and Gwen Stefani, among many others, bringing his contributing efforts as a guest artist to a staggering total of over 300 appearances. 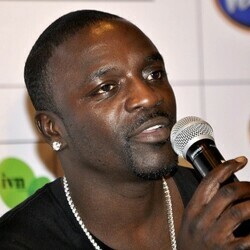 Akon has expanded his creativity in the field of film and television, with both a reality show and a movie in the works. He launched his own urban clothing line, Konvict Clothing, in early 2007. 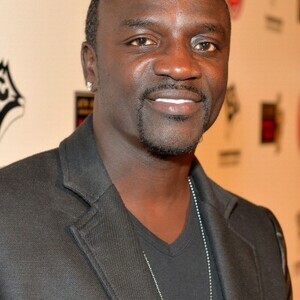 Akon has achieved Artist of the Year for the 2007 Billboard Music Awards and has won an American Music Award. Akon has obtained both the number one and two spots on the Billboard Hot 100 twice, and along with collaborative efforts, has had forty songs hit the Hot 100. His most successful singles include "Lonely", "Smack That" (featuring Eminem), "I Wanna Love You" (featuring Snoop Dogg), and "Don't Matter".